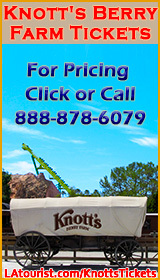 Features hands-on interactive science exhibits, the Air and Space Gallery, and an IMAX movie theater (huge screen). Free admission to all exhibits except IMAX Theater. Special exhibitions are featured quarterly and permanent collections include: - Birds, chaparral and marine life - Dinosaurs, fossils and other extinct animals - Gems and minerals - Native American and Pre-Columbian cultures - North American, African and exotic mammal halls - California, Southwest and American history. There is also a "hands-on" Discovery Center where you can touch exhibits, or explore them with microscopes, magnifying glasses and binoculars. There is an "Insect Zoo" featuring 30 terrariums and aquariums that are frequently updated with new specimens. Much more! 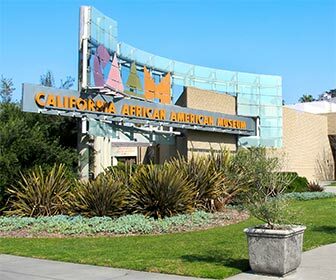 Art and history exhibitions that are designed to enhance the public's knowledge of past and present African American contributions to society. Includes modern and contemporary art, traditional African art, historical artifacts and photographs, plus over 4000 books on topics ranging from African American History, to music, art and culture. 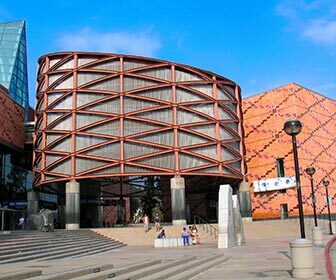 USC's art museum for over sixty years, provides a lively offering of contemporary and old master exhibitions, accompanied with tours, lectures, music and other events. Admission is free. Get a closer look inside the Los Angeles Memorial Coliseum, which is open for tours on Tuesday through Saturday when events are not in session. Guided tours are available twice a day, and the venue is open for self-guided tours from 10AM to 4PM. The guided tour allows access to areas not otherwise open to the public, such as the media center, USC locker rooms and fantastic views of the city. 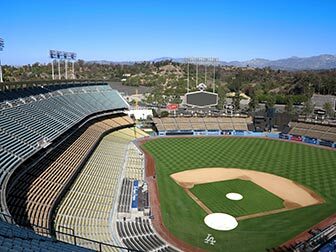 [Seasonal] The Championship Tour gives fans an opportunity to view Dodger Stadium in a way only the players do. This behind-the-scenes tour lets fans visit restricted areas and view the ballpark from a whole new perspective. 80-90 minute tour starting at 10:00AM and 11:30AM. Purchase tickets in advance from the Dodger Stadium website, or from the tour guide at the start of the tour. [Seasonal] See the Dodgers at a home game when they're in town. You can get the schedule and purchase tickets from the Dodgers website. On days that home games are played, Metro offers ticket holders a free ride from Union Station to Dodger Stadium. See the Metro website for details on the Dodger Stadium Express. Tours include a multimedia presentation about JPL, which provides an overview of the Laboratory's activities and accomplishments. Guests may also visit the Visitor Center, and various operational facilities on the campus. Space is limited and the tour is often booked months in advance.